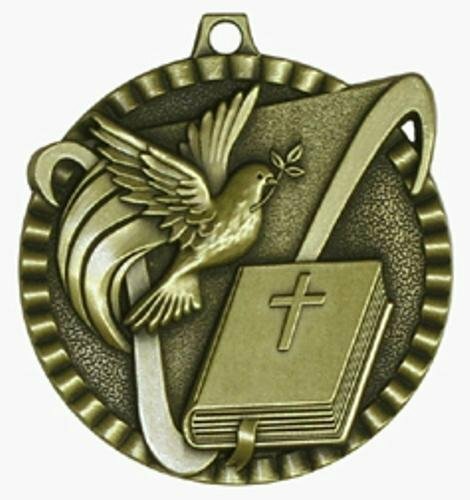 The Christian Value Medal is delivered fully assembled with a laser engraved plate. 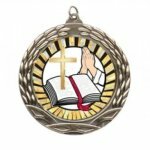 The Christian Wreath Insert Medal is delivered fully assembled with a Christian mylar insert and a laser engraved plate. 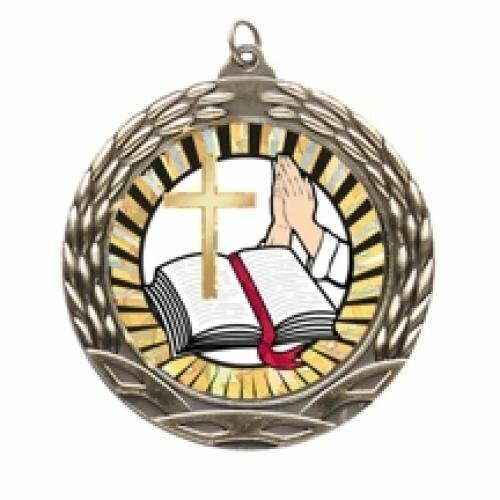 The Christian Bible Wreath Medal is delivered fully assembled with a laser engraved plate. 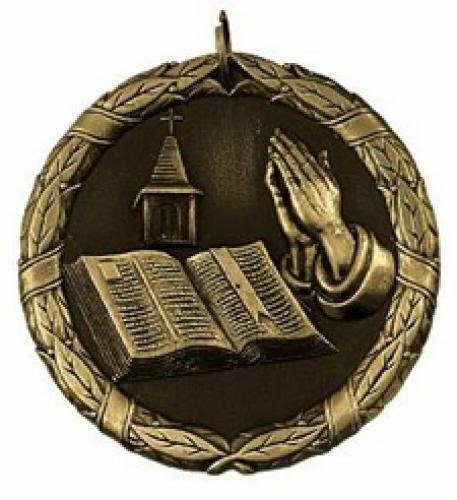 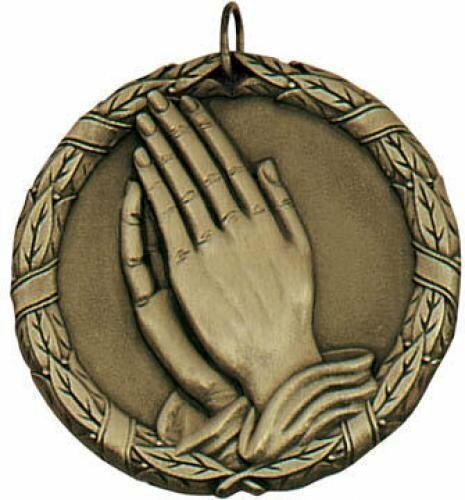 The Christian Praying Hands Wreath Medal is delivered fully assembled with a laser engraved plate.